Hide deals from seller "Burrito Grande"
Limit 1 per person and 1 per table. Valid toward food. Beverages and desserts not included. Dine-in only. New customers only. Promotional value expires 30 days after purchase. Treat Mom to a delicious meal this Mother's Day with 50% off Mexican food from Burrito Grande in Archer Heights ($20 value). This authentic Mexican restaurant serves a mouthwatering variety of seafood, burritos and more. Your mom will be sure to find something to appease her appetite on Burrito Grande's expansive menu. Sample seafood fare like Burrito Grande's shrimp cocktail or fish soup. Their best-selling 16-inch burrito is sure to delight any hungry restaurant patrons. Burrito Grande also offers breakfast for early risers and daily lunch specials. 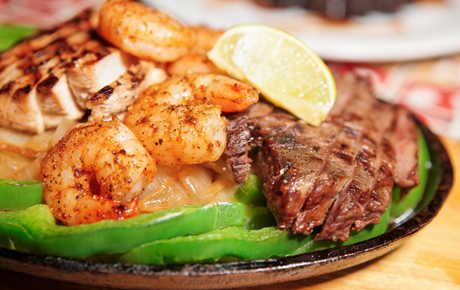 Your mom will love the chance to spend quality time with family while savoring classic Mexican fare. An authentic Mexican restaurant in Archer Heights offering breakfast, lunch and dinner.